This Adrenal Glands: Anatomy & Physiology Module begins with an overview of the role of ultrasound in the evaluation of adrenal glands. A brief overview of adrenal gland anatomy and physiology is provided. 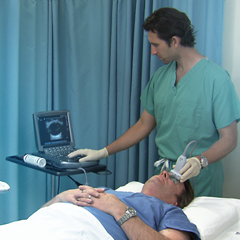 The sonographic anatomy of the adrenal glands is described in detail. 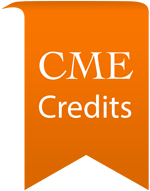 Optimal transducer selection, patient positioning, imaging approaches, and techniques for sonographically evaluating the adrenal glands are discussed. 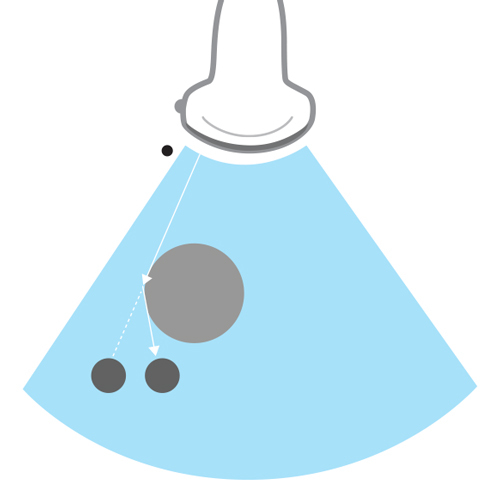 The course concludes with imaging tips and pitfalls and a summary of salient teaching points. 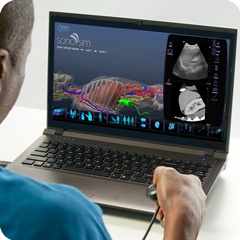 The SonoSimulator® provides you the opportunity to virtually scan real-patient ultrasound cases. 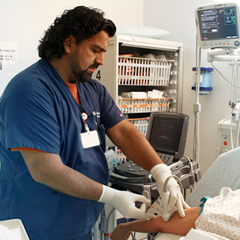 Each Anatomy & Physiology module delivers a minimum of three normal (organ-specific) cases for hands-on training. 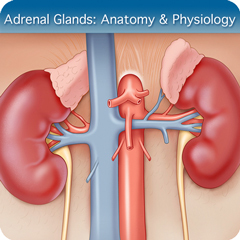 The Adrenal Glands: Anatomy & Physiology module provides a broad spectrum of adult male and female normal anatomy cases with varying body morphologies to maximize training efficacy. Each individual hands-on training case is accompanied by image window-specific expert instruction and probe-positioning guidance.